I got home late Friday from a week-long tour of central-ish Alabama. a) We were wrong. Super wrong. b) Also, we got our asses kicked. But the state of Alabama still recognizes several Confederate holidays. Gross. The training itself went gangbusters. Our managers were delighted, the Alabama State Medicaid Agency was delighted, and the trainees were mostly chill. Obviously, change hurts - and they're going to have to make some changes. There were some pockets of resistance. We ate rich food every damn night, and I was usually so tired that I overate in an effort to self-soothe. Not recommended. I had screaming heartburn for a week - finally got home and one Zantac later, I was fine. Also, probably the fact that I was home helped. I saw two interesting things while on the road - I didn't take pictures, but thankfully, a Google Image search did the work for me. 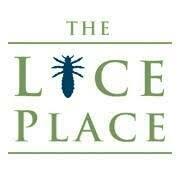 Lice were rampant in my Elementary School the year I was in second grade. Mom would comb out the nits and poison the little fuckers with RID every weekend, then by Wednesday, I'd have them again. The thing is, everyone has to kill them, or you'll reinfect the entire class. It was brutal. Finally, someone broke the cycle. But it sucked. So, sure, I have no question that parents would want to outsource the task to a third party. There's a location here in the Nashville area as well. Obviously. The water wheel really sells it, you know? 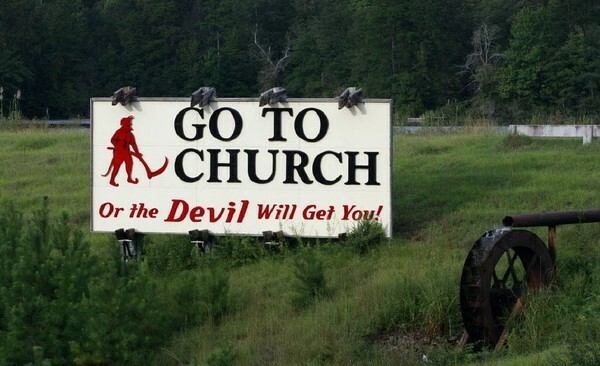 I don't think going to church or not is what determines eternal damnation. Personally, I don't believe in hell - at least, not the Christian version. I believe the Jean-Paul Sartre version: "Hell is other people". Or, in the original French, <<L'enfer, c'est les autres>>. Let's just say that Alabama is not a hotbed of liberalism. But the people were nice, and the weather was perfectly humid. The hotels were both quite nice - I enjoyed the free toiletries and the fancy showers. I also heard something kind of interesting. While I was driving, I kept it on XM's Broadway station - and over the period of the week, I heard several songs from Annie. And I got to thinking about it. It's creepy, if you explain it. So there's this rich guy, and he's lonely, so he decides he wants to rent a little boy from the orphanage for a few weeks at Christmas and then send him back. So his secretary screws up and gets a little girl - pulls her out of a facility run by a drunk abusive whore. Rich guy is pissed - he wanted a little boy! But whatever, he'll keep the girl. That is some seriously fucked up exposition. I mean granted, it's post-war, great depression, so there are a lot of kids that Mom and Dad couldn't afford to keep, so I'm sure the orphanages were full up. But the rich guy's name is Oliver Warbucks which means either he was a profiteer during the first World War - or - it's foreshadowing his actions in the coming war. Or, it's just a really unfortunate name - but they never really get into how he made his money. But here's a single man, basically ordering a minor be brought to him so he can enjoy Christmas. Now, obviously, this wasn't sexual, but...it sounds creepy. He brings this little girl to the home, cleans her up, and puts her in a short, tight, red dress. This is not a story that works in a modern day setting. I'm just saying. That was something I thought about during much of my drive home. Maybe I am overthinking it. But you have to know that somewhere out there, someone has written some Annie/Warbucks fanfiction erotica. I'm just saying. I leave again tomorrow for South Alabama. I can't help but think of the song Don't Mess Around With Jim. Even if you do have a two-piece custom made pool cue. And with that, I'm going to cook some supper. My wife and I go to Dauphin Island most years in the spring and I was disappointed this year that the Devil sign was missing. I'm glad it's been restored. Although it's quite tasteful compared to that horrendous statue of Nathan Bedford Forrest here in Nashville. An ugly statue for an ugly person, though, and it's been improved by being turned pink. And I may never look at Annie the same way again, especially with Tim Curry having played a bit part in the 1982 film.